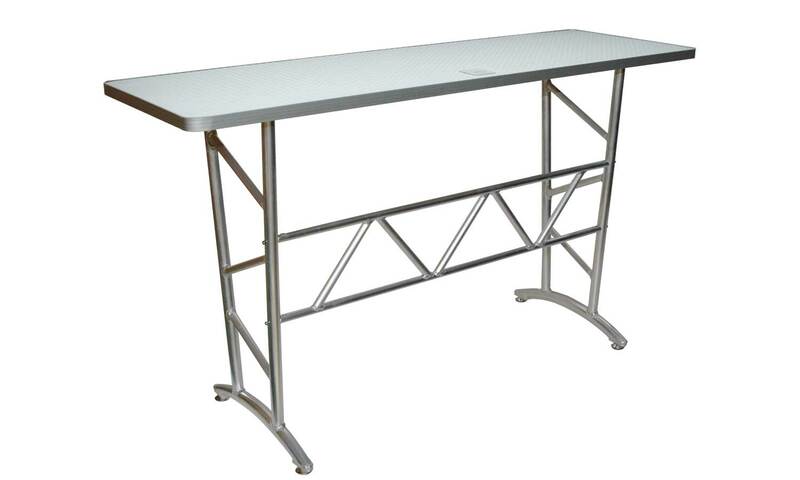 Tough stable DJ-table from Aluminum Truss with tear-plate finish. Built on the ideal working height for the DJ set. The table has a transit flap for the cabling and can be leveled using adjustable screw feet.